With a nondescript door and signage that actively discourages visits from newcomers, O'Connor's has the grumpy old man persona of a good dive bar down pat. Cozy, not entirely comfortable booths line one wall, a classic bar the other, and nary a draught beer is to be found on the premises (although the fridge where they keep the Budweisers is set to "sub-Arctic"). 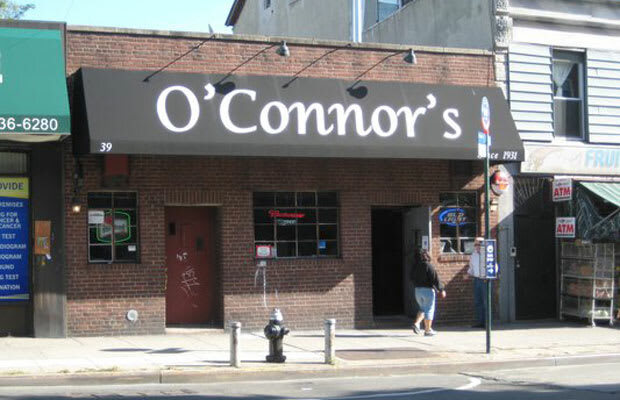 O'Connor's is located almost literally in the shadow of the rising Barclays Center; should it actually survive the wave of rent hikes surely coming its way, it'll be the perfect spot for Nets fans of a certain mien to nurse their miseries.